Java is our development environment. Java is fast, secure and reliable and because of its excellent portability, very rich JDK and many third-party libraries we have high productivity. 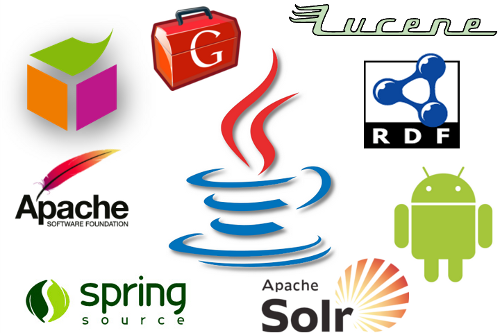 There are many quality Java Open Source libraries and technologies based on, which is one of the important factors to use in our projects and in the process of evolution of our skills. Competences acquired in the field of semantics technology are one of our principal advantages and also one of the main pillars of our internal development strategy.